Become A Member | Williams Syndrome Family Support Group (Victoria) Inc. There are many benefits of becoming a member of our WS group. The wider WS family shares a lot of love and joy, our own WS family members lead the charge as you well know! Share the journey with soon-to-be lifelong friends who understand the joys and struggles we go through along the way. The group is a safe community for our WS family members to establish safe friendships with each other. Our close-knit community warmly welcomes new families, supportive community members, sponsors and relevant health professionals to participate in the life of our group and apply for membership. Members have access to exclusive content and support. 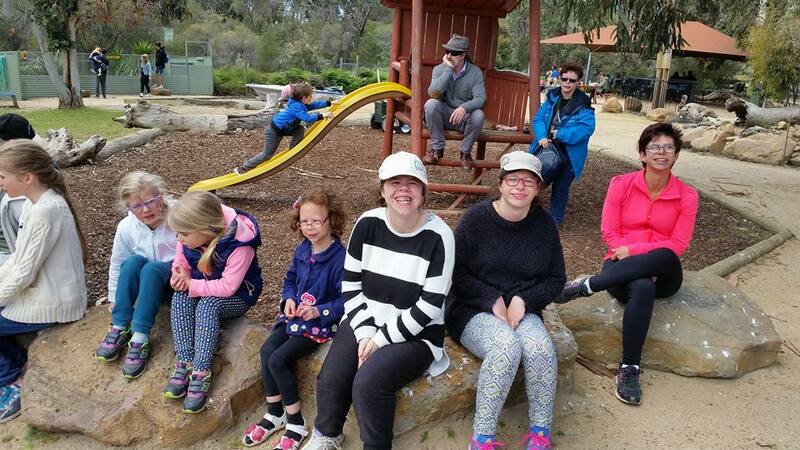 We host several official events throughout the year including our annual family camp at various locations around Victoria, group gatherings and our annual AGM. Previous group gatherings include Chesterfield Farm, pool party, BBQs and playgroup trips, dinners, adult evenings and retreats, movie nights, women’s nights and other fundraising events. Our annual family camp is a real highlight of the year for our group. We rotate campsites across Victoria each year to make it as accessible as possible for everyone to be able to come. Facilities are very good and we partially subsidise the weekend for our members. We have a lot of fun with excursions to beach, snow, cafes, restaurants, zoo and much more. It is very family friendly and inclusive for all ages and stages. Our WS kids and grown ups really love it to and it is a great opportunity for everyone to get together, share stories, laugh, sing, toast marshmallows, swim and play lots of games. There are several health professionals who participate in our group, assisting with research and sharing their findings to help us better understand WS and our family members.